Posterolateral Lumbar Fusion: fusion procedure where spine is accessed from patient’s back. Posterolateral Lumbar Fusion is a surgical procedure used to treat problems with spinal instability. It fuses together the painful vertebrae so that they heal into a single solid bone. There are many methods of obtaining spinal fusion, but the most commonly used is Posterolateral Lumbar Fusion. This type of spinal fusion involves placing bone graft between the transverse processes of the affected vertebrae. Who needs Posterolateral Lumbar Fusion? Patients who have spondilolisthesis are most common candidates of Posterolateral Lumbar Fusion. Spondilolisthesis is the condition in which the vertebra slips forward and pinches a nerve. This happens due to weakened joints or fractured bones. The pinched nerve causes pain, which radiates to the legs and feet. This procedure may also be suggested for conditions such as disc herniation, curvature of the spinal column, scoliosis, or for an injury or fracture of the spinal cord. What are the steps involved in Posterolateral Lumbar Fusion? The surgeon makes a small incision along the midline of the lower back. Muscles surrounding the spine are pulled back to expose the vertebrae. The surgeon then removes the lamina, which is the bone that covers the spinal cord. 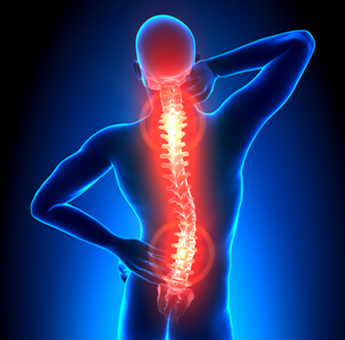 Removal of lamina relieves the pressure on the nerve roots and alleviates pain. Next, the surgeon clears away any herniated disc, fragments, or bones that may be pinching the root nerves. Bone graft is added to the sides of the spine. The bone grafts will fuse to the spinal cord and form a solid bone bridge. The surgeon then adds screws and rods. Screws help to secure the rods that hold the spinal cord, discs and vertebrae in place while the graft heals. Over time, the bone graft will fuse with the spine and keep the discs from slipping. The procedure ends when the surgeon moves the muscles back to their correct place and closes the wound. The incision is closed with the help of stitches. A medical bandage is applied after cleaning the wound. What happens after Posterolateral Lumbar Fusion? After this operation, the patient may be asked to wear a plastic brace for a few weeks. The patient should note that healing a fusion can take many months to complete. It is important to be patient after the procedure, as improvements in symptoms will be slow.